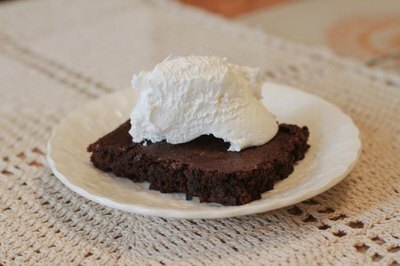 Brownie mix from a box makes it easy to whip the dessert together, but sometimes the flavor can leave something to be desired. 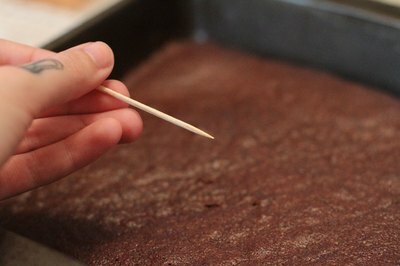 You can make brownies tastier and give them more of a homemade flavor by following a few easy suggestions. Keep in mind that any additives you use may affect baking time. Use butter -- or light butter, margarine or other butter substitute -- instead of the vegetable oil that the instructions call for. 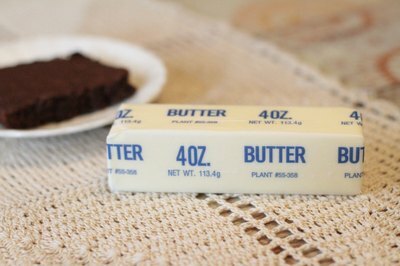 Substituting this ingredient will make the brownies richer and give them a buttery flavor. For every 7/8 cup of vegetable oil that the recipe calls for, use 1 cup of butter. Add a stir-in to the brownie batter. Some items you can add are 1 cup of chopped walnuts or pecans, or chocolate chips. You can also soften 1 cup of peanut butter in the microwave and drizzle the top of batter with the peanut butter after pouring the mixture into the pan for baking. Alternatively, drop 8 oz. of softened cream cheese into the batter and stir it into the mix with a knife prior to baking. Blend in 2 tbsp. of your favorite flavored extract or liqueur. Some extract flavors that will complement brownies are mint, cherry, almond, coconut and cinnamon. Or, add 1 tsp. of two different extracts whose flavors complement each other, like almond and cherry. 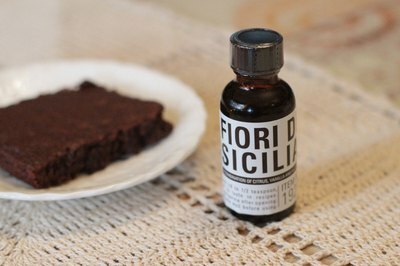 Such liqueur flavors as coffee, banana, sloe gin and strawberry can also perk up the brownies' taste. Don't over-bake the brownies. When they are removed from the oven they may appear under-baked, but the dessert will firm up as it cools. Leaving them in the oven for a little as five minutes longer can dry them out. You can also under-bake them slightly if you poke a toothpick in the center and it comes out clean before the allotted cooking time elapses. Sit them on a cooling rack on the counter instead of the stove top. You can add numerous toppings to brownies when you serve them, and you don't have to limit yourself to just one. Choices include different ice cream flavors, caramel or chocolate syrup, whipped cream, fresh fruit, crushed candy bars, chocolate candies and fruit puree. Try covering the brownies with a layer of your favorite frosting, like cream cheese or butter cream, or such toppings as mousse, pudding or fudge. 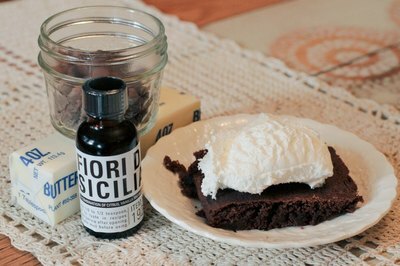 A simple recipe for homemade brownies using one bowl and only seven ingredients--including two kinds of chocolate. What Kind of Cooking Chocolate Is Used in Brownies?